BRING THE RV & BOAT AND ENJOY YOUR HUGE 2007 JACOBSEN TRIPLE WIDE ON 1.24 ACRES. 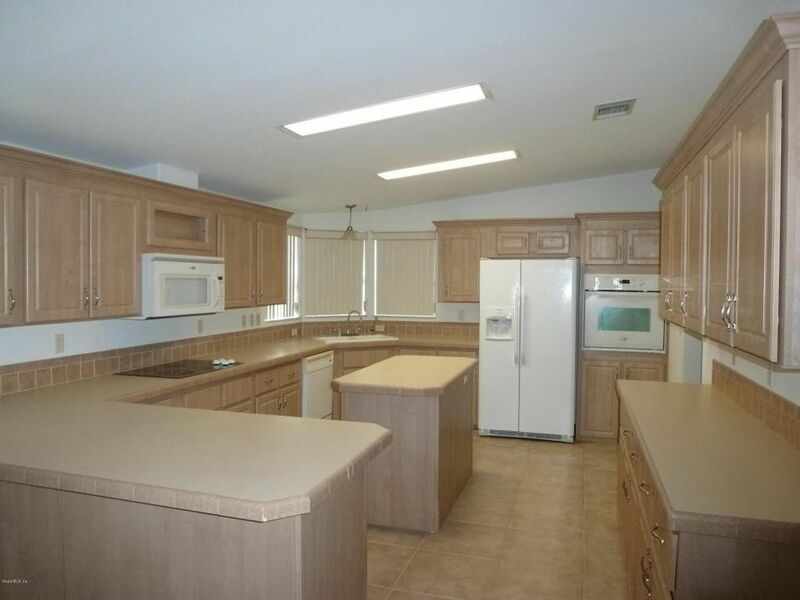 YOU WILL LOVE THE LARGE KTICHEN WITH MANY MANY CABINETS, COUNTER SPACE, COOK TOP RANGE, BUILTIN OVEN, NEW SIDE BY SIDE REFRIGERATOR & MICROWAVE. LARGE LAUNDRY ROOM HAS WHIRLPOOL FRONT LOADER W/D. FORMAL DINNING ROOM, LIVING ROOM + EAT IN NOOK AND FAMILY ROOM. FIRE PLACE FOR THOSE COZY ROMANTIC NIGHTS. THE LARGE MASTER HAS LARGE CLOSET AND BATHROOM WITH TUB FOR 2! THE MASTER OPENS UP TO COVERED DECK OVERLOOKING CLEARED AND CLEANED BACK YARD. 2ND GUEST BR ALSO HAS HUGE CLOSET. HOME HAS TILE FLOORS IN WET AREAS AND CARPET IN OTHER AREAS. YOU WILL NOT BELIEVE THE SPACE IN THIS WELL KEPT HOME.QUALTIY CONSTRUCTION TAPE & TEXTURED 2X6 EXTERIOR WALL STUDS. SHED IN BACK. ROOM FOR POOL&BARN. Directions: Hwy 40 West of I-75 APPOX 12 MILES TO 166TH COURT RD, TR TO 45TH ST TR TO 42ND LOOP TL. HOME ON THE LEFT.